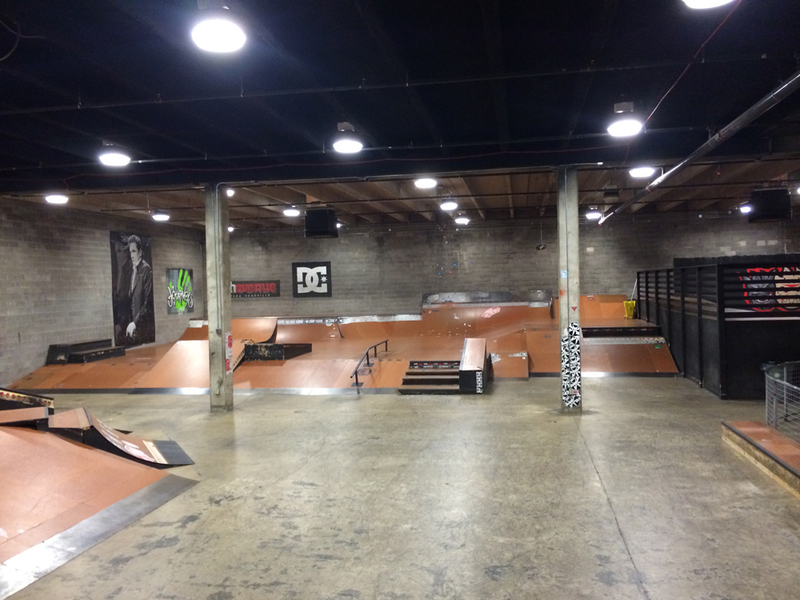 Rocketown’s indoor skatepark is a very unique room that can fit a variety of needs. The custom built skatepark is a great space for: photo shoots, music videos, commercials, and other promotional pieces that wish to capture extreme sports in a confined and climate controlled space. With access to the best local BMX, Skateboard, and Rollerblade talent, we are able to connect you with any extras you may need for your event. Contact us about weekday and weekend rates. Non-profit rates are available for weekdays. Click image to enlarge, then click Left or Right To See Additional Gallery Images.